We’ve just closed our survey of 350 C-level business and technology executives about the strategies, opportunities, and challenges of migrating to the cloud. Next we’ll segment responses by industry, company size, region, profitability, and other parameters, and analyze the data to identify broad trends and connections as well as key variations between and among categories. This will allow us to understand cloud migration strategies for companies from around the United States, approaches to security across industries, and the wants and needs of executives who are looking for cloud and managed services providers. Check back with us for initial analyses, interesting findings, and other insights we’ll glean from this data. By next month, we’ll have our initial briefing paper, with think pieces and infographics to follow. We are live in the field with our survey about strategies, opportunities, and challenges related to cloud migration, which will include responses from 350 business and technology executives at companies across the United States. While that work is underway, we’ll be conducting a series of eight in-depth interviews on the same topics. These calls will add depth and color to the statistics from the survey, providing additional heft to the series of reports to follow. After we close our survey of 350 business and technology executives, we’ll segment responses by industry, company size, region, profitability, and other parameters, and then analyze the data to identify broad trends and connections as well as key variations between and among categories. This will allow us to understand cloud migration strategies for companies from around the United States, approaches to security across industries, and the wants and needs of executives who are looking for cloud and managed services providers. Next, we’ll take this data, along with insights gained from eight executive interviews, and use it as the basis of our briefing paper, think pieces, and infographics. Our first paper will focus on high-level findings of the research and include in-depth interviews with executives, charts and tables that illustrate the key points of the research, and calls to action to help plan future strategies. Following the release of this briefing paper, we’ll write four shorter think pieces—each with a particular focus determined by trends revealed by the survey analysis, highlighting the ways companies are transitioning to the cloud, and finding and measuring value there. Look for our briefing paper at the end of May, and think pieces throughout the summer. In the meantime, we’ll be showing you some of our survey results and sharing our progress right here on the blog. 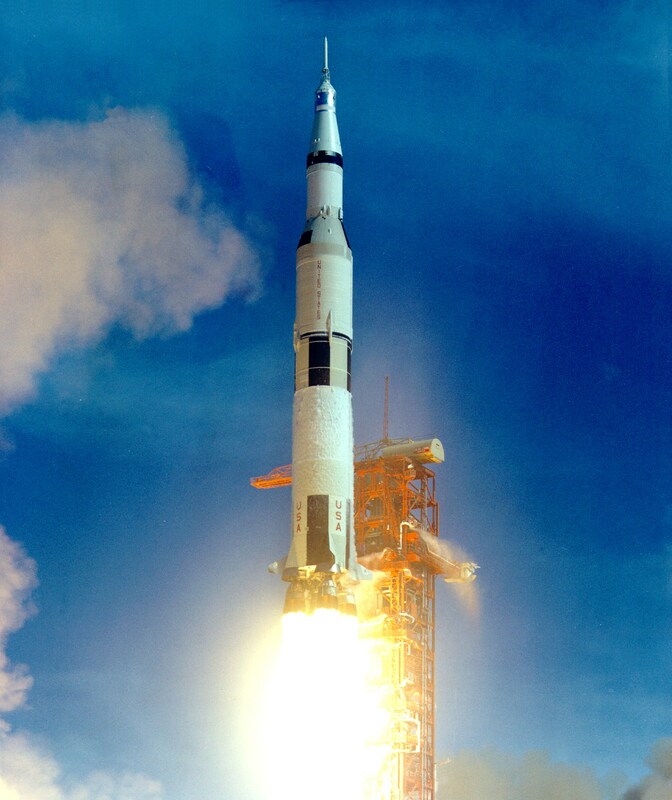 We’re very close to finalizing our survey document, after which we’ll code it, test it, and launch it into the field. A few weeks later, we’ll have the results from 350 c-level execs and direct reports at companies across the United States. Our goal is to bring back meaningful, statistically-relevant data about the ways companies of various sizes in diverse industries are approaching the cloud — where they are in the process, what their strategic thinking is, what keeps them up at night. We’ll also conduct a series of interviews with executives to add perspective and color to the survey data. When that’s all done, we’ll produce a series of short papers and infographics that present our findings and delve into relevant themes suggested by the research. And throughout it all, we’ll be updating you with progress and results at this site. 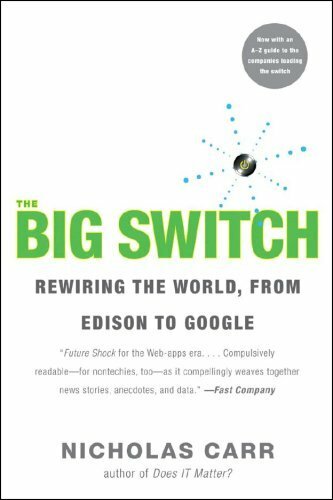 Nicholas Carr brought the concept of cloud computing to mainstream audiences back in 2008 with his book, The Big Switch: Rewiring the World, from Edison to Google. It might seem an unlikely topic for a bestseller, but Carr had an epic story to tell: Computing power, like electrical power a century earlier, was becoming a utility, and the combination of industrial-age history and digital futurism made for a compelling read. Six years on, the cloud has matured rapidly. It’s so commonplace for consumer applications that we hardly think of it anymore. Companies are changing not just the way they use and pay for hardware and software, but their entire approach to business; in some industries, cloud strategy is a survival-level issue. And still those practical, economic considerations matter most. For many companies, it starts with a couple of basic questions: How best to move into the cloud, and how to measure the results? Those questions are the subject of this blog and the research program behind it. In the months ahead we’ll look at the journey and the payoff along the path to value in the cloud. We’ll share results from our survey of 350 executives and excerpts from our series of exclusive interviews with corporate decision-makers, analyze news and break down trends, and publish expert opinion and insight – including yours, if you wish to join in. Look for us on Twitter and LinkedIn, too.